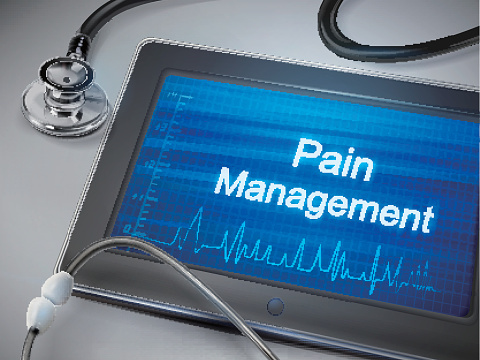 LAS VEGAS—Unrecognized nerve damage and residual function can be a “spontaneous pain generator,” said Gary W. Jay, MD, DAAPM, FAAPM, Medical Director of The DNA Center in Daytona Beach, Florida to attendees of PAINWeek 2014. “There is substantial evidence that abnormal nerve activity is an important mechanism underlying the spontaneous pain typical of neuropathic pain states,” Dr. Jay said. “It is hypothesized that sites of ectopic foci include developing on injured or regenerating nerves in the periphery, at the level of the nociceptor, neuromas, or segments of injured nerves; at the dorsal root ganglion, and in the dorsal horn laminae of the spinal cord.” These abnormal ectopic foci can be considered “spontaneous pain generators,” that result in paroxysmal and spontaneous pain, he said. Neuropathic pain is typically thought of as painful peripheral neuropathy, such as that suffered among patients with severe diabetes. In contrast, the pain caused by shingles (herpes zoster) and inflammatory involvement of the trigeminal nerves, are usually considered to be focal neuralgias. Abnormal activity in damaged nerves is just part of the picture, however. Residual pain nerve activity in damaged tissues can create a more complex situation, he suspects. “While neuropathic pain has become operationally defined as an abnormal pain state that arises from a damaged peripheral nervous system or central nervous system, there is supporting evidence suggesting that several disease states within this category have active residual involvement of nociceptors at the site of the original injury, creating a mixed nociceptiveneuropathic pattern,” Dr. Jay said. Low back pain is one of the most common disorders, affecting about two-thirds of the adult population in the United States at some time in their lives. Degeneration of intervertebral discs has long been considered to be the primary etiology of low back pain, but there is reason to suspect it is more complicated than that, he said. “In the normal intervertebral disc, only the outer aspect of the annulus fibrosus receives sensory innervation,” he said. But when discs degenerate, extensive nerve fiber growth is found in the middle and inner third of the diseased annulus. The degenerating disc releases inflammatory neuropeptides that, when combined with mechanical pressure, “can induce chemical and mechanical sensitization and stimulation of the nociceptive nerve fibers,” he surmised.